The Bible is filled with divine healing! From cover to cover, Scripture reveals many miraculous healings, where the sick, terminally ill, and even the dead were restored to wholeness. So how did healingsomething so natural for Jesus and the early churchbecome absent and so controversial? In Authority to Heal, Randy Clark shows you the truth behind what happened to divine healing and teaches you how to reclaim this supernatural inheritance. In Power to Heal, you were equipped to pray for the sick. In Authority to Heal, go deeper as Randy shares his personal healing journey, eyewitness stories of miracle healings, and insights from Scripture, theology and church history. Discover how Gods healing river never stopped flowing&hellip; and unleash its power in your life today! Randy Clark, DMin is the President and Founder of Global Awakening. Established in 1994, Global Awakening is an apostolic ministry that aims to equip the body of Christ through ministry schools, training programs, conferences and international missions trips. Through his ministry, Randy has seen tens of thousands healed and brought to salvation. He is the author of There Is More, Power to Heal and Essential Guide to the Power of the Holy Spirit. 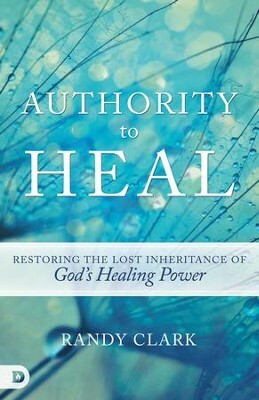 I'm the author/artist and I want to review Authority to Heal: Restoring the Lost Inheritance of God's Healing Power - eBook.